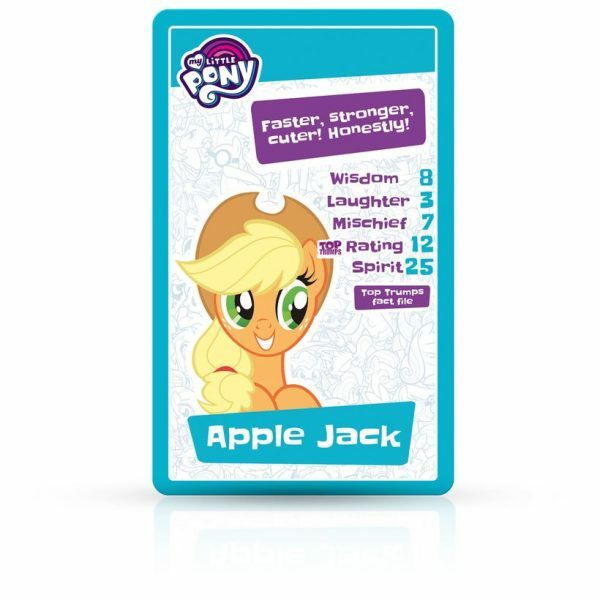 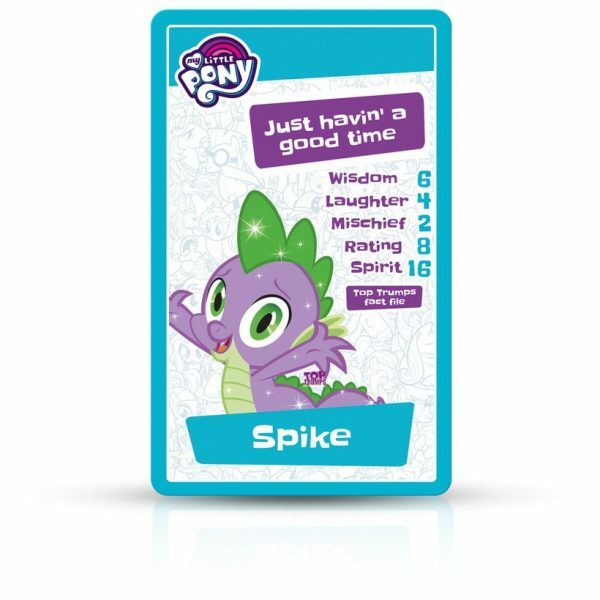 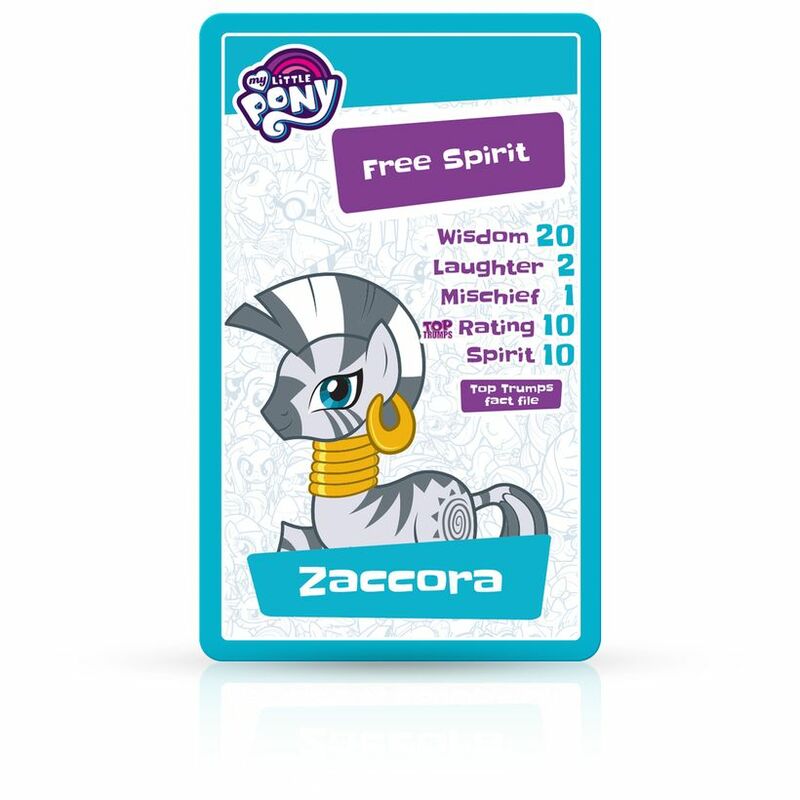 Join Applejack, Rarity, Rainbow Dash and all the other Equestria ponies in this brand new Top Trumps pack with an exclusive flocked case! Whos the funniest, who gets up to the most mischief and who has the freest spirit? 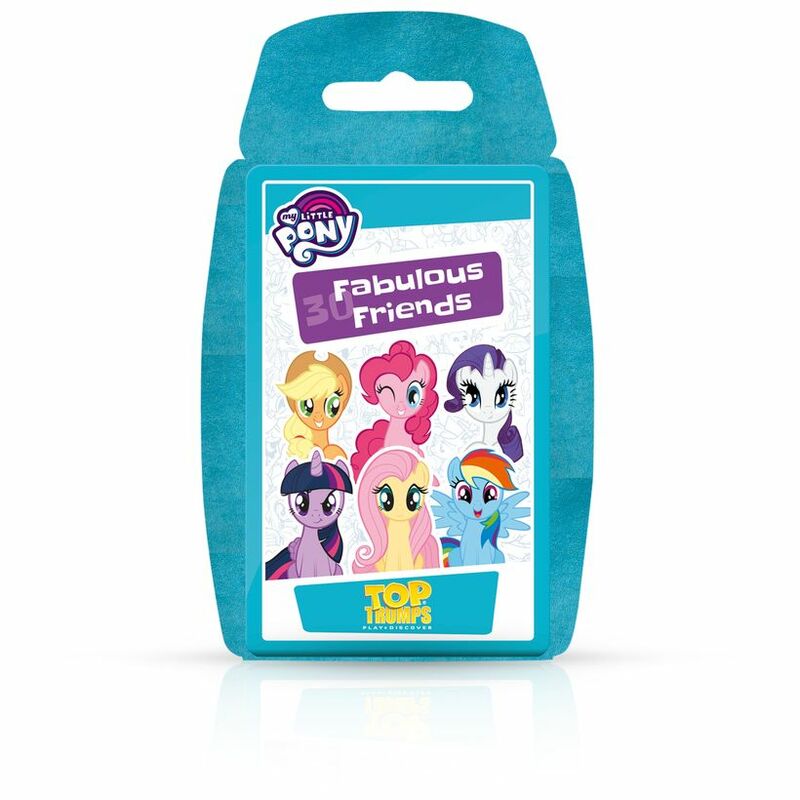 Find out with 30 fabulous friends. 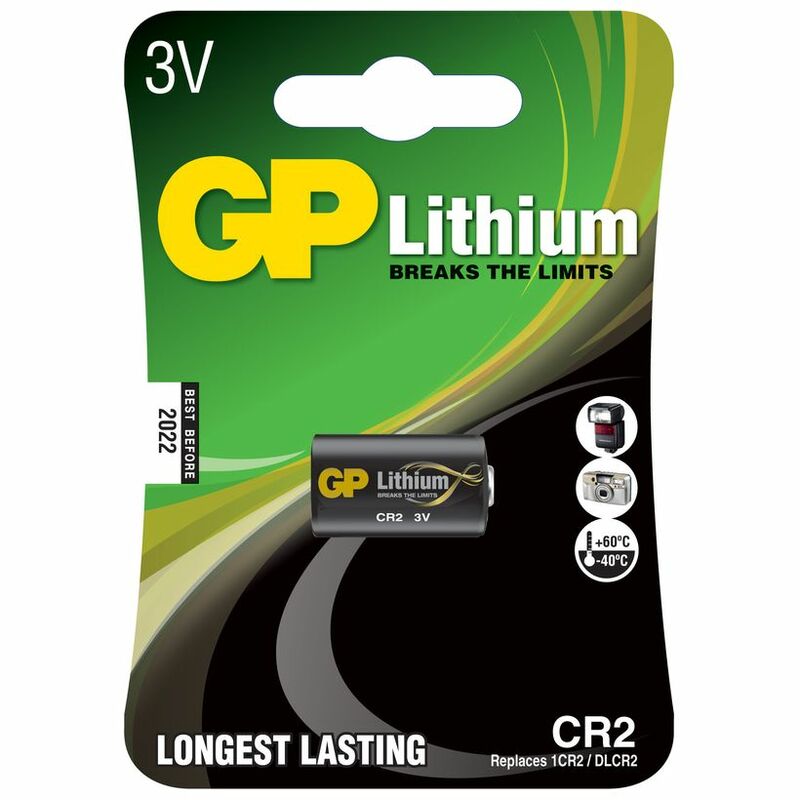 Not suitable for Children under 36 months because of small parts. 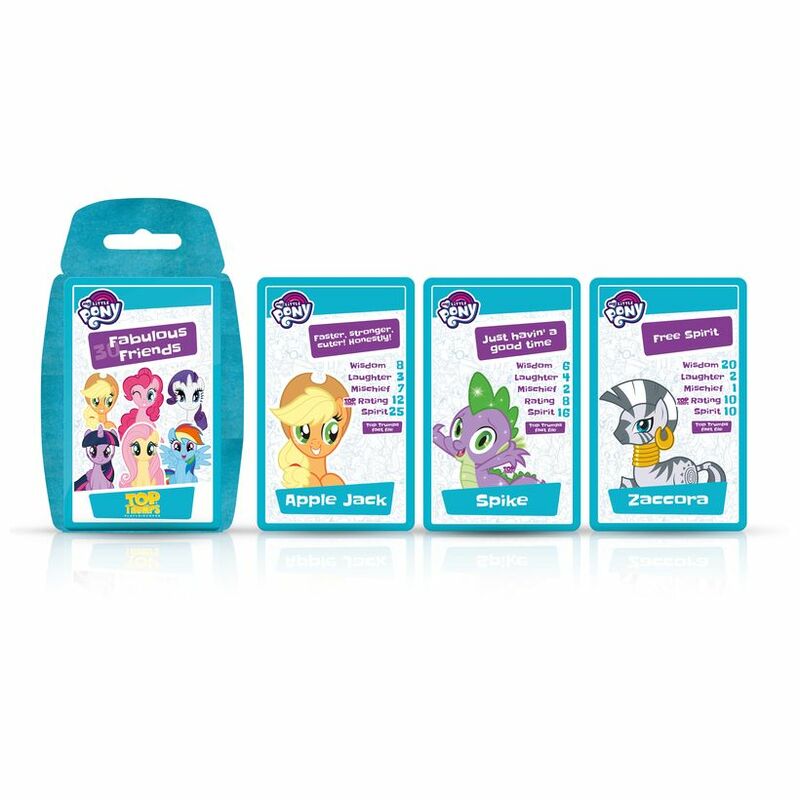 Choking hazard.